SkinMedica Uplifting Eye Serum is a restorative blend of plant extracts, antioxidants and vitamins in a special oil-free formulation. 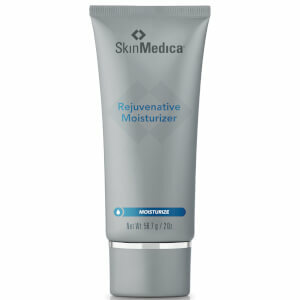 This serum is designed to gently smooth, hydrate and lift the sensitive skin around the eyes. Utilizing the natural skin lightening extract in kojic acid in combination with vitamins A and E, SkinMedica Uplifting Eye Serum visibly reduces the appearance of puffiness, under eye circles and fine lines. Prior to use, invert and tap the top of container several times in palm of hand. 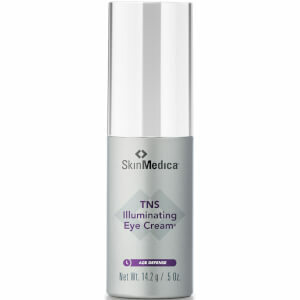 Apply a thin layer, 1 to 2 drops, underneath the eyes and on the outside area of the eyes. Avoid upper eyelid. Algae extract are derived from a wide variety of plants grown in seawater and fresh water. This helps normalize the skin's moisture content and provides skin-softening, remineralizing vitamins and antioxidants to the skin. Kojic acid is a mushroom derived ingredient used to improve the appearance of skin tone. Camellia sinensis (green tea) leaf extract are natural antioxidants, rich in polyphenols, specifically EGCG (epigallocatechin gallate) which helps quench free radicals. Salix alba (willow) bark extract is a rich, natural source of salicylic acid, a beta-hydroxy acid.